The Olympus XZ-2 is the successor of the XZ-1 which was the first compact camera made by Olympus with a large sensor (1/1.63”). The new camera has a new CMOS sensor (the XZ-1 had a CCD sensor) which is slightly smaller but has a slightly higher resolution (12MP instead of 10MP). 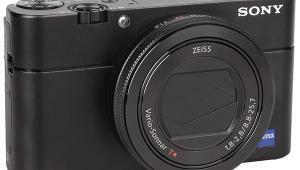 The XZ-2 is the second classically styled compact camera made by Olympus and it replaces the XZ-1. 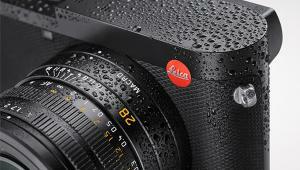 It offers a new sensor with higher resolution (12MP) and a very fast lens system (f/1.8 to f/2.5). 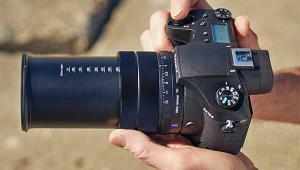 The lens ring of the XZ-2 serves as a multifunction tool. 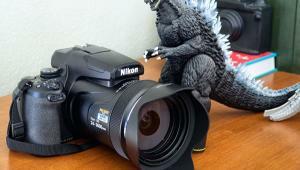 It can change exposure settings and be used for manual focusing. A pop-up flash system is apt for fill-in flash work. The camera offers a hot shoe on the top and has an electronic accessory port directly beneath it (covered by a protective cap). A second shutter release button is used for video recording. 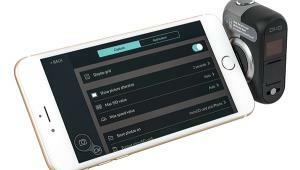 A large mode dial on the top allows access to standard exposure modes, to choose scene modes, or to use creative filter effects, which are activated in “ART” mode. The monitor can be flipped up- and downward. Compared to its forerunner, it now offers a higher resolution (920,000 instead of 610,000 pixels). 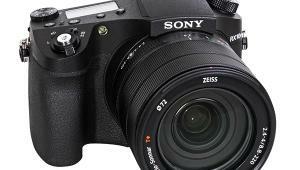 Just like the XZ-1, the XZ-2 has a very fast lens system. It offers a maximum aperture of f/1.8 in the wide-angle setting (28mm) to f/2.5 in the tele setting (112mm; 35mm film equivalent). By using these extreme aperture settings (for a compact camera) it is able to create nice portrait shots with shallow depth of field. 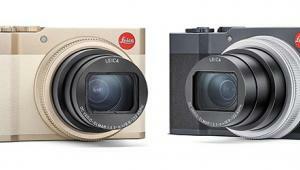 The design of the new camera is based on classic viewfinder cameras. That’s one reason for it now being included in the “Stylus” class. The XZ-2 doesn’t offer an optical or electronic viewfinder, but a large LCD screen (3”) with high resolution (920,000 RGB dots). The camera is also able to use an optional viewfinder VF-3 (with 920,000 RGB dots), which is already well known as a handy tool for PEN cameras such as the E-PL3 or E-PL5. The back screen of the XZ-2 is a swivel monitor that can be flipped up- and downward. 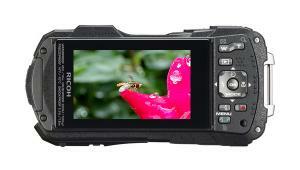 The camera offers all standard exposure modes like P, S, A, and M. A large dial on the top allows the user to choose the desired mode and to choose user-defined setups (C1 and C2) as well as a lot of scene modes (SCN mode). 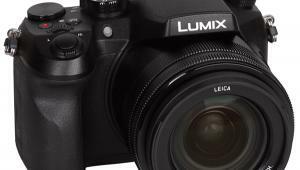 The control ring on the lens has numerous functions: in manual exposure mode it helps to set up parameters like the aperture setting. It offers comfortable handling in combination with the little dial on the back (which encircles the control field). In review mode it allows the user to zoom into the image. And of course the ring is used for manual focusing. 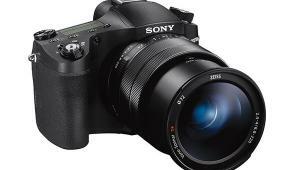 While the XZ-1 recorded video in HD resolution (1280x720 pixels) the new camera offers Full HD video capabilities. An HDMI interface allows for presentation of videos and images on HDTVs. A standard microphone jack is missing, but the camera can use its hot shoe and the accessory port directly beneath the shoe to connect the XZ-2 with their optional microphone adapter SEMA-1, which offers an external microphone and an interface for third-party microphones. The accessory shoe on the top can also be used for external flash; Olympus offers a very compact external flash system, the FL-14. The shot of the test box is slightly underexposed. The gray background shows a slight shift into the blue direction. There is only a little vignetting and the sharpness is very good, even in the corners of the image. The XZ-2 produces natural-looking skin tones with a slightly high magenta rate. Sharpness is excellent, even though it looks a little artificial due to the very intense sharpness filtering. In darker colors the automatic white balance system tends toward cooler nuances (bluish colors) while the brighter gray patterns of the test chart show a shift into the direction of the yellow area. This behavior (based on the shot of the test chart) isn’t noticeable in the portrait shot. The shot of the test box shows a slight shift of darker areas into the blue direction. Color: The camera showed a good performance in our color tests. Like nearly all Olympus cameras, the XZ-2 records slightly undersaturated images (97.95 percent). In darker colors the automatic white balance system tends toward cooler nuances (bluish colors) while the brighter gray patterns of the test chart show a shift into the direction of the yellow area. This behavior (based on the shot of the test chart) isn’t noticeable in the portrait shot. The shot of the test box shows a slight shift of darker areas into the blue direction. The skin tones are very fine, aided by decent saturation and only a slight shift toward the magenta direction. The test box shot is slightly underexposed (automatic exposure settings in P mode). Sharpness: The resolution results of the XZ-2 are excellent. 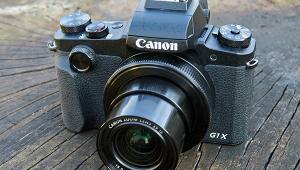 The camera gained an extreme maximum for a compact camera. It reproduced the ISO 12,233 chart with 2864 lines per picture height which is nearly the nominal resolution of the image sensor with 2976 lines per picture height. This high value is also a result of the very intense sharpness filtering (which Olympus seems to prefer instead of the anti-noise filtering). You will notice this filtering effect on contrast lines, which show overshot effects. The high sharpness (caused by the intense filtering) creates a slightly artificial look in fine structures, such as in the hair of the model in the portrait shot. Nevertheless, the differentiation of fine structures and especially of red colors is very good. 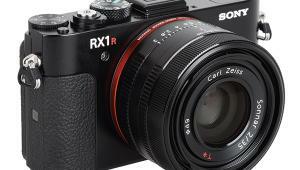 Noise: The Olympus XZ-2 uses a large sensor with a moderate resolution. However, the luminance noise level is very high and crosses the 1.0 percent line already at ISO 400. This is a result of a restrained anti-noise filtering which shows its benefits in the resolution tests. Color noise becomes visible in images taken with ISO 3200, where homogeneous-colored areas show some color clouds, a result of color noise and anti-noise filtering. Nevertheless, these images are still usable. Only at ISO 12,800 did the noise artifacts become annoying. The dynamic range test results are on an average to good level for a compact camera. The Olympus XZ-2 offers a maximum of 10.5 f/stops at lower ISO speed settings, but the dynamic range decreases very rapidly and is already 8.07 f/stops at ISO 3200 and only 6.37 f/stops at ISO 12,800. 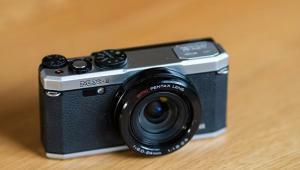 The Olympus XZ-2 has a list price of $599 ($549 street). For more information, visit www.olympusamerica.com.